It gets frustrating when you’re trying everything but you still can’t get clear and glowing skin you want so bad. No matter how much products you use on your skin, if it’s missing the essential ones it’s still not doing enough. To help you elevate your beauty skin care routine, we list down important things that may be missing. Some of you may have heard of this new skin care favorite that offers gentle care to the skin without leaving it dry. If using a foaming cleanser still leaves your skin feeling dry and tight on some areas, then this product may be the answer to your dilemma. 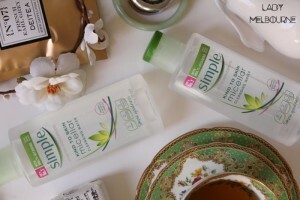 Micellar cleansing water is a clear liquid that removes makeup and dirt from the skin without drying it. It has been around for hundreds of years but is recently causing a buzz in the beauty scene. This cleansing formula contains micelles, which are tiny oil molecules present in soft water. It can effectively remove makeup, especially the stubborn waterproof mascara. It is easy to use and allows for no rinsing. 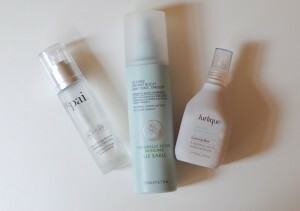 Toner is a skin care arsenal staple. Meant to be used after cleansing the skin, the toner is used to restore the skin’s natural pH levels. After the drying process of cleansing, applying toner aids in the repair of the skin’s surface. Applying toner also preps the skin before applying moisturizer and makeup. Using toner in our skin care regimen is nothing new. You just have to update how you apply it to the skin. Applying toner by spritzing it and patting dry after is more effective than using a cotton ball. Before using it, you can pop the spray bottle with toner inside the refrigerator. Only use a cotton ball to remove excess product on the skin. Serums have made a name for themselves in the beauty industry. It is a substance with a concentrated amount of ingredients that nourish the skin and solves skin problems, such as acne. Before moisturizing and after applying toner to the skin, gently tap a few drops of serum on your skin. Use the product wisely because it can be very pricey. Wait for a few minutes to let the skin absorb the product and then go on and apply your moisturizer and makeup. Incorporate it to your morning and nighttime skin care routine. We use cleansing wipes to properly remove dirt and makeup on our face. Some people do it before washing their face while some, use it as an all-in-one cleansing product. Exfoliating regularly removes dead skin cells and dirt deposits on the skin, leaving it feeling smooth and supple. There are double duty cleansing wipes from different brands that also exfoliate the skin gently. After a few swipes on the skin, the cleansing wipe also removes dead skin cells to give way for the growth of new ones. 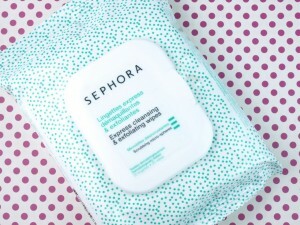 These cleansing wipes are heavy duty makeup removers so there’s no need to use a separate one.